Black and white but with a bite! This fascinator combines delicate shades of white with best friend black to create something truly fabulous. 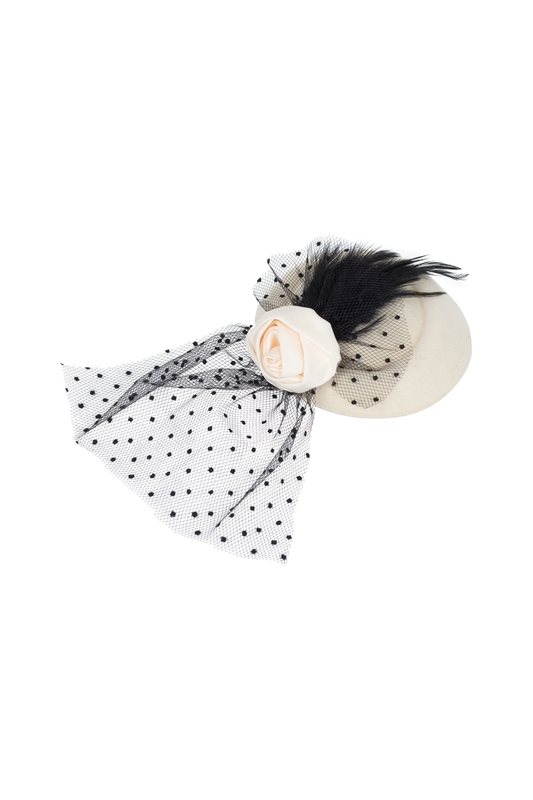 Polkadot netting, a black feather and a white rose make one blooming marvellous head turner!